In April, the Danida Fellowship Centre hosted four dialogue meetings to match learning needs with relevant opportunities under the DFC Scholarship Programme. Photo: Cecilie Holdt Rude. Over the past few weeks, the Danida Fellowship Centre has hosted a number of dialogue meetings to match learning needs with relevant opportunities under the DFC Scholarship Programme. The programme offers learning opportunity to partners under the Danish Strategic Sector Cooperation Facility, SSCF. The meetings brought together Danish sector counsellors and Danish partner authorities under the Strategic Sector Cooperation Facility, Danish universities and DFC’s capacity development advisors to discuss the topics and format for a number of new courses under the Scholarship Programme, this time in the areas of health, the environment, food safety and energy. The road from idea to the final course design is long and these meetings cover only a few steps along the way but the results are well worth the effort. There are many good reasons for doing things ‘the DFC way’. The DFC Scholarship Programme provides the partners of the 29 projects under the Danish Strategic Sector Cooperation Facility with opportunities for capacity development. All of the projects have different objectives, they collaborate with different partners from different sectors, and they are continuously being adjusted to fit in with their changing contexts. Under the Danish Strategic Sector Cooperation Facility, SSCF Danish authorities collaborate with partners in 14 emerging economies around the world through a total of 29 SSC projects. The projects focus on areas such as health, the environment, energy and digitalization. Here Katja Majbom Goodhew, Sector Councellor at the Danish Embassy in Vietnam with a delegation from the Vietnamese Ministry of Agriculture and Rural Development, the University of Copenhagen and Danida Fellowship Centre. The DFC Scholarship Programme is therefore also under constant development. As needs change, so too do the opportunities we offer. Each year the Danida Fellowship Centre adjusts existing courses in response to the feedback received from former course participants, their organisations, Danish host universities, and Danish sector counsellors and authorities, and each year the Danida Fellowship Centre offers new courses to meet new needs and shape new realities. By virtue of the training received, I feel better equipped to discharge my duties at the Agriculture and Food Authority, a state corporation under the Kenyan Ministry of Agriculture, Livestock and Fisheries, says Frankie Welikhe, participant in the Risk Communication course at University of Copenhagen under the DFC Scholarship Programme. The dialogue meetings hosted by the Danida Fellowship Centre are an outcome of a long initial dialogue with sector counsellors and Danish partners under the Strategic Sector Cooperation Facility, and an annual needs survey. Over the coming months more detailed meetings will be held to discuss the design of individual courses. Extensive dialogue takes time but each of the stakeholders brings specific expertise to the table and this contributes to course development. 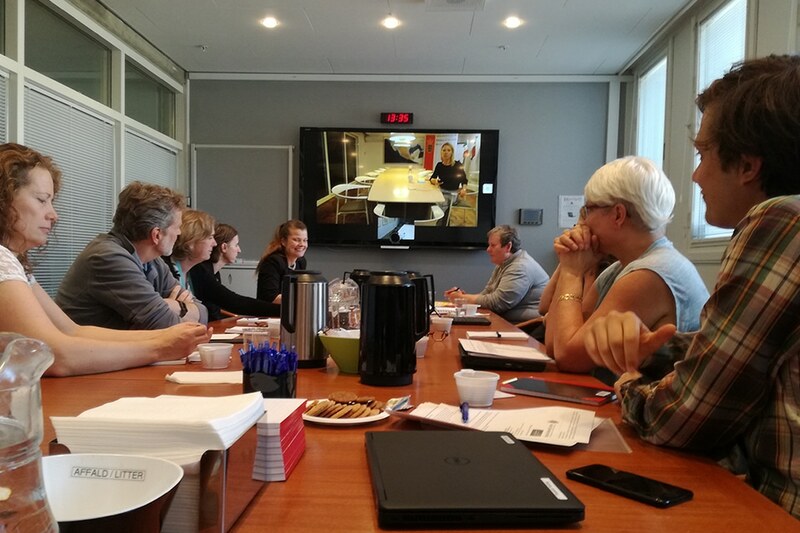 The Danish partner authorities and the sector counsellors bring in an understanding of the context, the sector and the partners in the partner countries – and the direction and scope of the SSC projects. The universities bring on board in-depth technical expertise from their field. The Danida Fellowship Centre contributes many years of experience in designing learning programmes for this particular target group, programmes that spark change beyond the individual fellows. A major source of expertise for each of DFC’s courses are the fellows themselves. 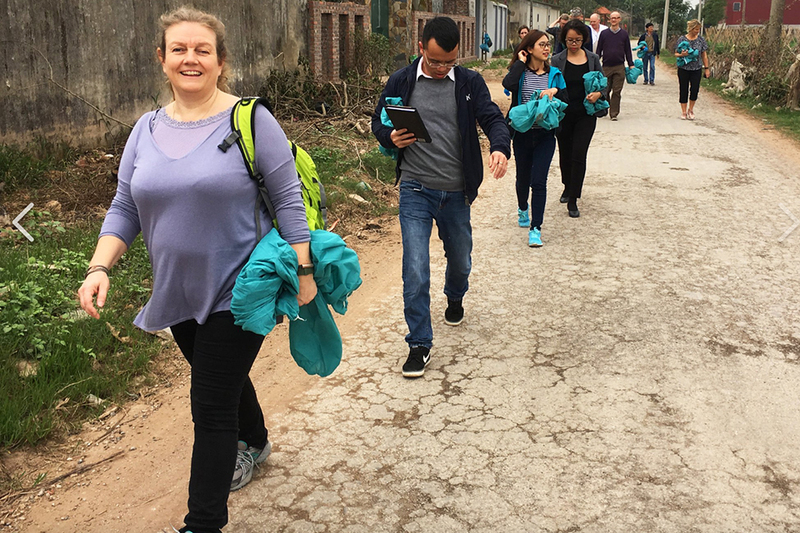 Each fellow arrives with several years of expertise within their sector and all tailored courses have a strong focus on peer exchange and learning. Photo: From the Course “Strategizing for Green and Circular Economy” at the Technical University of Copenhagen, DTU. Photo: Vibeke Quaade. This ‘triangle of expertise’ – and the focus on co-creation – is a cornerstone in developing the high-quality courses that DFC and the DFC Scholarship Programme have become known for. Together with our partners and for each new course we will explore the best way to ensure that fellows return home with relevant skills and knowledge – and not least motivation – to contribute to change, says Helle Jørgensen, Capacity Development Advisor at the Danida Fellowship Centre. There is not only one way to develop learning opportunities and the annual round of dialogue meetings is not the only avenue for discussing ideas and courses under the DFC Scholarship Programme. Sector counsellors and Danish partner authorities can always contact DFC directly to discuss new ideas and many have already done so. The Danida Fellowship Centre then picks up the baton, helps identify the specific needs, makes connections with universities and other learning institutions, facilitates dialogue – and within six to eight months a new group of fellows may arrive in Denmark to follow yet another tailor-made course under the Scholarship Programme. 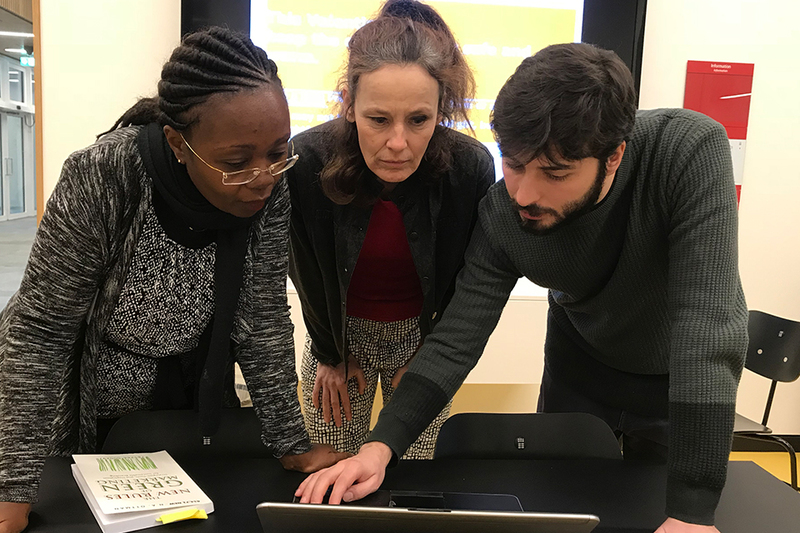 No two courses are alike and we are always open to trying out new approaches, formats and learning styles, says Maya Lindberg Brink, Capacity Development Advisor at the Danida Fellowship Centre. As a result of the dialogue meetings on health, environment, food safety and energy, a number of new courses are taking shape. Within the next half year, many new courses on themes such as “health care and data management”, “environmental governance” and “food safety regulations and implementation” will complement the existing courses under the DFC Scholarship Programme. And so the dialogue continues – the DFC way! Cecilie Holdt Rude and Maya Lindberg Brink are capacity development advisors at Danida Fellowship Centre.